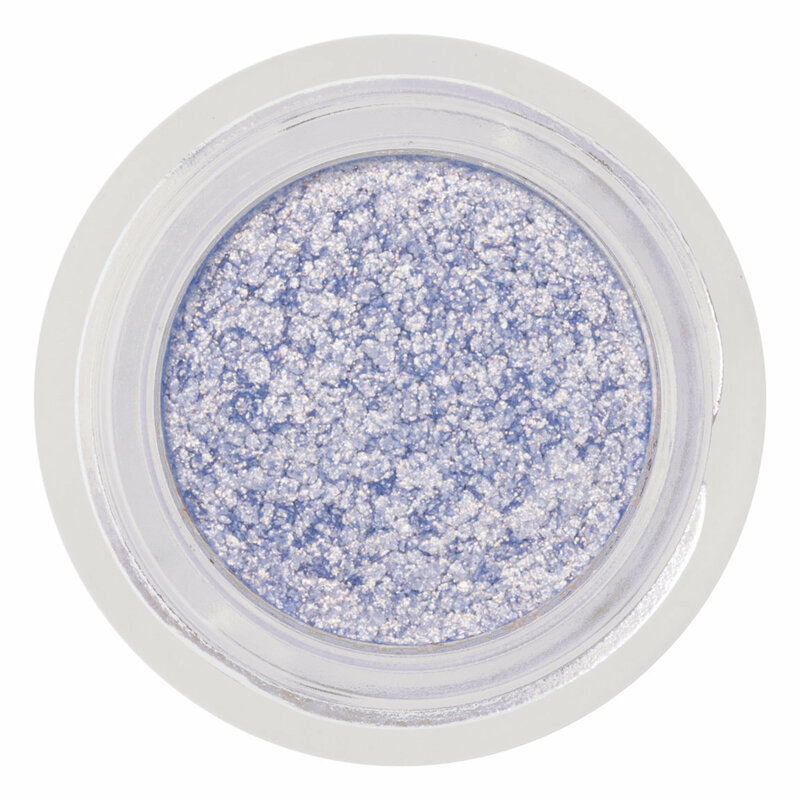 Add a shimmering, shifting sheen to eyes, lips, and skin with this iridescent topcoat. Inspired by Natasha Denona’s duochrome eye shadows, Duo Chrome Top Coat applies like a sheer cream and sets to a multidimensional, glass-like finish that won’t fade, smudge, or settle into creases. Tap onto skin with your finger for intense payoff. You can also use a brush for a more subtle effect. 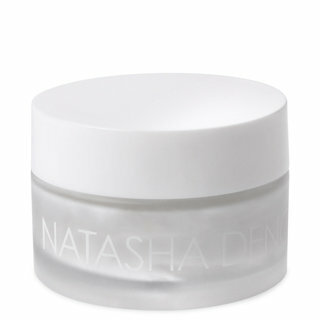 Follow along with Natasha as she shows the best way to apply Duo Chrome Top Coat to eyelids. I understand that the purpose of this product is to be a top-coat, and so I did expect it to be sheer (which it definitely is, however it can be built up to full opacity), however I was really expecting more impact from this product. Based on the photos and videos provided by the brand on their social media I was expecting this to be super sparkly (like for example the Tom Ford glitter top coats in his quads), and also to have a true duo-chrome quality to it, i.e. a color that shifts to another color. This is sparkly, but does not pack the sparkle punch that other products do, it is a more refined wet looking shimmer (which is fine), but I was most disapointed that this is not really duo-chrome. 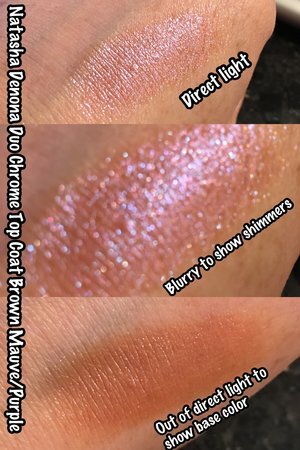 In my opinion having a base color in a product with a different color shimmer on top does not a duo-chrome make... and that is what this is... it is a light very warm brown (really almost orange) with blue and pink shimmers. I have attached photos to (hopefully) show what I am trying to describe. The shimmers themselves do not shift colors, but do catch the light nicely and are pretty. 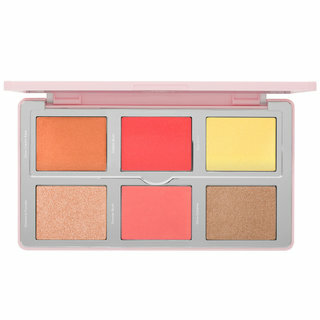 The other thing that disappointed me about this product is that when I tried to use it as a top coat (over a matte powder eyeshadow) it lifted the eyeshadow base, so I was left with a patchy looking mess... it is almost like this formula is too emollient to be used over powder eyesahdows. Bottom Line - not duo-chrome, not a usable top-coat over powder eyeshadow, not super shimmery goodness like shown on social media, and an over all disappointment... would not recommend. I purchased lavender because i love purple! The color itself is translucent with a periwinkle shift. There's not a lot of color to this one. It looks very shiny on the eye and definitely reflective. It works better on top of eyeshadow or a dark base. The texture feels chunky but i didn't have fall out. Has great staying power, no creasing or fading. IMO this is not a special color. There are cheaper more pigmented alternatives. This is pretty as a brow bone or inner corner highlight but as i stated i can get this effect from other products. I don't have the other shades but from watching reviews i think they perform better and actually show up on the lid. Overall i think the lavender is just a weak color. More than likely I'll be returning this. When they restock i might try a different shade. For the price you are getting a lot of product 0.20oz. Tarte has a similar product for $22 but it only has 0.11oz. ND is actually a really good value compared to other brands. 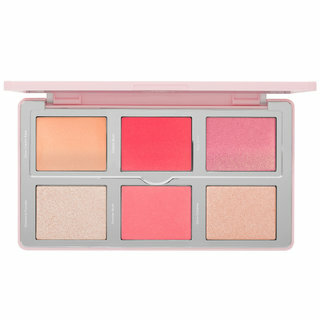 Still playing with this one and find it versatile for layering atop shadows or on it's own for soft shimmer with a kick. Staying power is impressive. Good job Natasha! 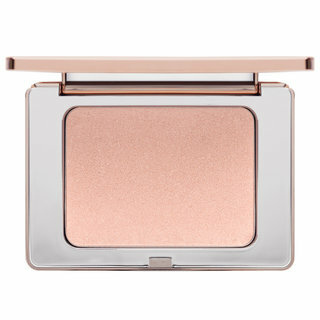 Beautiful duo chrome, creamy, applies really easy, has a light shine to it and can be used on top of eyeshadows. It gives a gold-pink color. Is amazing, it has a wet look and is very easy to apply, is beautiful both as a top coat as it is on its own. I bought because I watched Carli Bybel do a beautiful eye look with this. Hard to use doesn’t come off with a brush and doesn’t have good color pay off with finger.